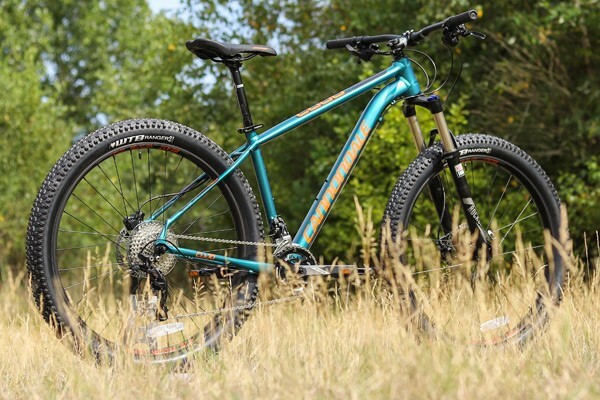 An affordable hardtail MTB, the Specialized Pitch we review here is a great way to get into mountain biking and experience the thrill of the trail. The Pitch is built for both new and experienced riders who want a bike with real off-road capability at an affordable price point. This simple-yet-effective hardtail makes light work of the climbs and provides a thrilling ride on singletrack descents. It’s great to see that Specialized has invested equally in the women’s and unisex models. We look at them all in this Specialized Pitch review. There are four unisex and four women’s specific models in the range; The base level Pitch as well as the Sport, Comp and Expert models. Each bike has a lightweight alloy frame with a capable off-road component spec including suspension fork and disc brakes. Each model in the range is built around the same A1 Premium aluminium alloy frame. This a quality frame for the price point that wouldn’t look out of place on a much more expensive bike. Specialized’s A1 Premium aluminium is an aerospace-grade 6000 series alloy, which has been refined over the last 20 years. The Pitch has very carefully manipulated tube shapes and butting in key areas. This enhances the strength and removes excess material which saves weight. Full internal cable routing gives the bike nice clean lines and includes routing for a dropper post upgrade. Specialized’s Sport Trail Geometry offers a well-balanced ride for efficient climbing and confident descending. The slack head angle is combined with a long top tube and shorter stem. This makes the bike stable at speed while also helping to keep the front wheel tracking on the climbs. 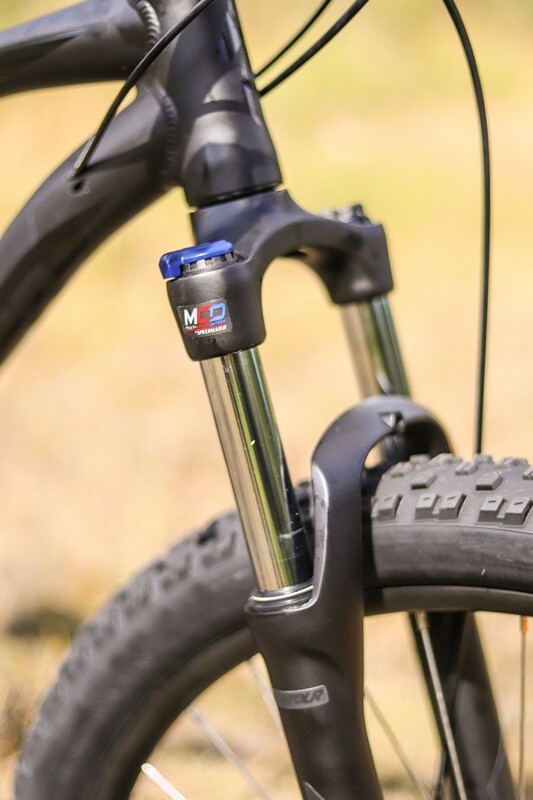 The Pitch frame is up-to-date with the latest performance hardtail mountain bikes and is well worthy of future component upgrades. 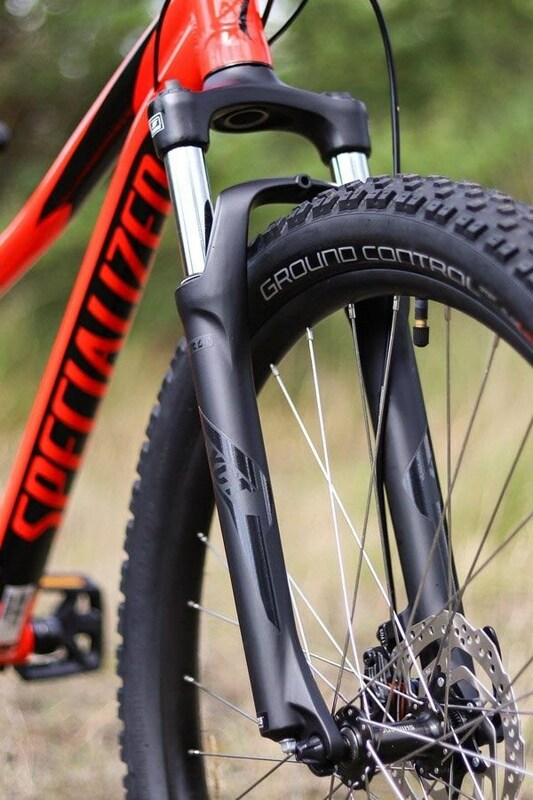 The Specialized Pitch is right up to date with modern performance hardtails. Specialized’s own custom Multi-Circuit-Damping technology give the Suntour forks more of a premium ride feel. 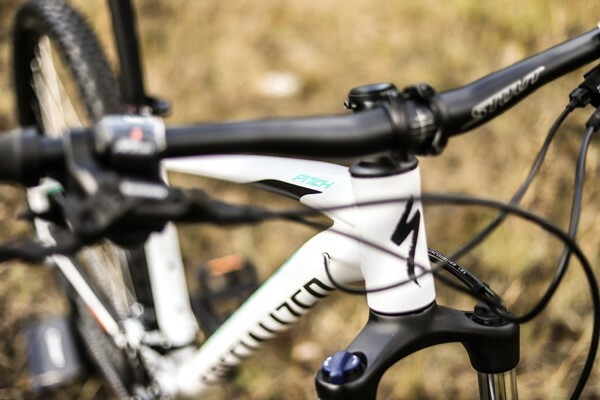 All models of the Specialized Pitch are fitted with an SR Suntour suspension fork. Suspension travel is size specific, so the Small and Extra Small frame sizes get 80mm of travel while the other models have 100mm. With the exception of the entry-level model, the SR Suntour forks feature Specialized’s own custom Multi-Circuit-Damping technology. Using hydraulic damping, similar to premium forks, this keeps the bikes suspension composed under pressure. 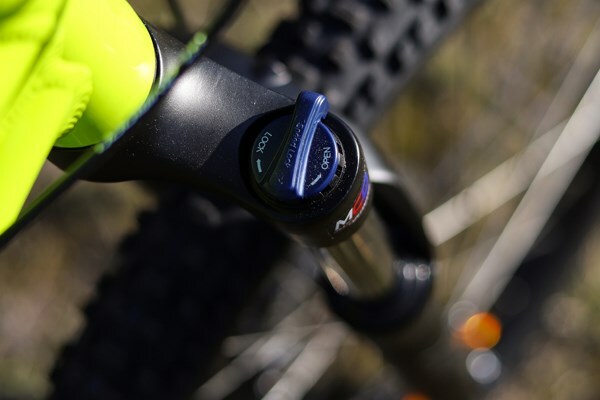 The entry-level Pitch features a Suntour XCT fork with 28mm stanchions, while the Pitch Sport gets the same fork, with the addition of Multi-Circuit-Damping technology. Moving up to the Pitch Comp you get a Suntour XCM fork which uses stiffer & stronger 30mm stanchions. The top-of-the-range Pitch Expert gets a Suntour XCR fork, with even stiffer & stronger 32mm stanchions, alongside lightweight Magnesium alloy lowers. Wide handle bars and a short stem offer a confident riding position for more control on technical terrain. Each bike in the Pitch Range gets a Shimano drivetrain that offers a wide gear range. This means you have plenty of low ratios for the climbs with enough high gears for those fast fire road descents. Most of the bikes achieve this with a triple front chainring up front. The Pitch and Pitch Sport each get a 3x8 speed drivetrain, while the Pitch Comp has 3x9 speed. The Pitch Expert does it differently, with a 2x9 speed drivetrain that features a double chainring up front and a wider range 9-speed rear cassette. This makes gear shifting a lot more intuitive. The higher-end Pitch models use parts which are lighter and have a more precise shifting action (e.g. the Shimano Deore derailleur as fitted to the Pitch Expert), but Shimano’s reliable build quality is present throughout. Disc brakes offer more consistent braking power in wet weather so it is great to see them on all the Specialized Pitch models. The entry-level Pitch and Pitch Sport models each use mechanical disc brakes, the latter coming courtesy of Shimano. The Pitch Comp and Pitch Expert both get Shimano Hydraulic brakes for more powerful performance. The Specialized touch points are good quality and the women’s models all get female specific components with wider saddles and narrower handlebars. 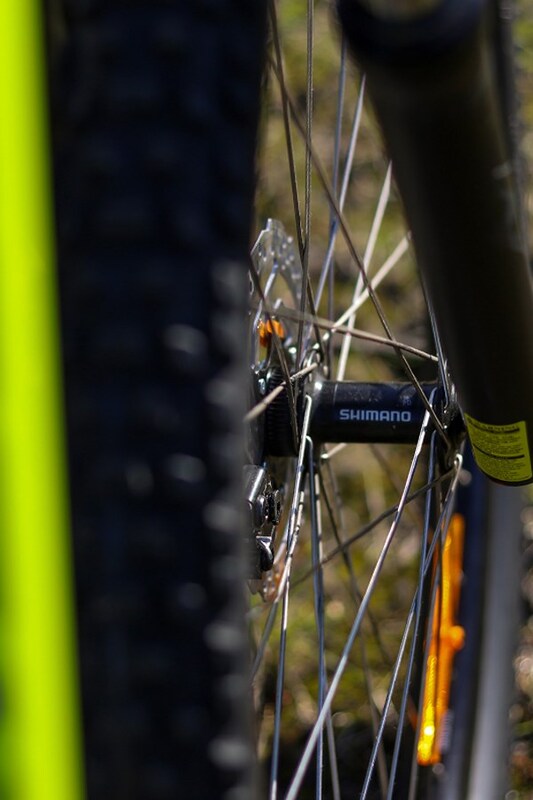 The Pitch rolls exclusively on 27.5” (650b) wheels. These are larger than traditional 26” MTB wheels but are smaller than 29” hoops. Compared to the larger 29er wheel size, 650b wheels are lighter and create smaller gyroscopic forces. This makes the bike easier to manage for new riders and offers the perfect balance between nimble handling and rapid rolling. 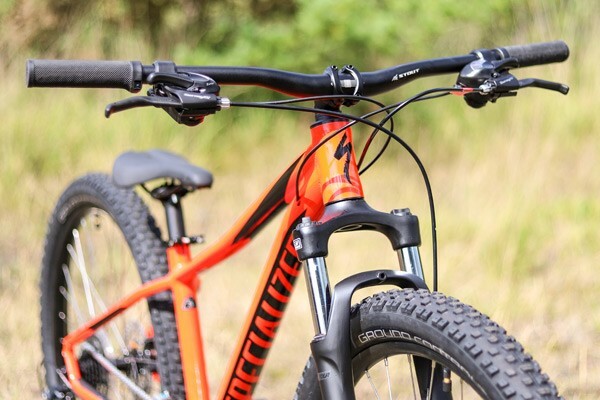 While the Pitch isn’t available with faster rolling 29” wheels, the Specialized Rockhopper is a 29er that is available at similar price points. As for the wheels themselves, all models use the same Stout Trail disc-specific double-wall rims, with centre-lock Shimano disc hubs. The 2.3in wide Specialized Ground Control Sport tyres are much better quality than the tyres found on most MTBs in this price bracket. The mid profile tread pattern gives you good grip on loose dirt trails without slowing you down too much on smooth surfaces. Flak Jacket puncture protection offers extra security. The Sport Trail geometry combined with the agility of 27.5in wheels makes the Pitch a lively, confidence-inspiring bike out on the trails. The Specialized Pitch brings real mountain bike capability to a genuinely affordable price point. Built around a lightweight alloy frame, with hydraulic disc brakes and a custom suspension fork on every bike, the Pitch is a versatile hardtail that is great for all-sorts of mountain biking; from flowing single track to gravel roads and cycle paths. 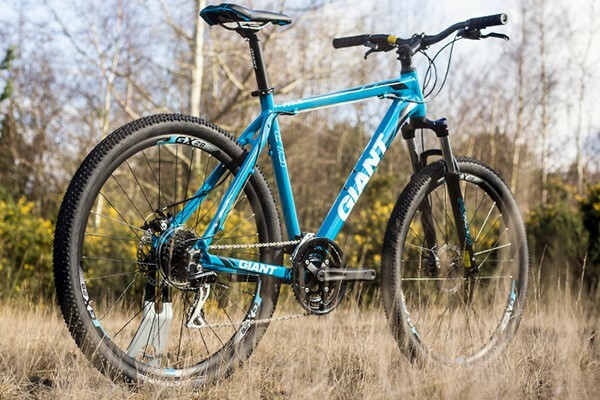 Novice cyclists will benefit from the wide gear ranges and affordability of the bike, whilst seasoned mountain bikers will appreciate the performance benefits of the modern trail geometry. That’s not to say you can’t ride the new Specialized Pitch every day. As we’ve come to expect from Specialized, the Pitch is a fantastic looking bike that’s comfortable to ride and shows exemplary reliability thanks to its premium build quality. 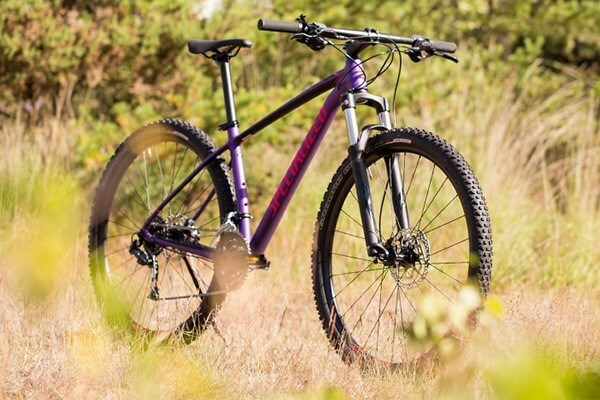 For a faster rolling ride Specialized’s Rockhopper is a hardtail 29er that is built for riding similar terrain to the Pitch.